Sign up to receive our latest Industry Icon Interview with one of the industry’s hardest working and beloved individuals, Kath Krassner! 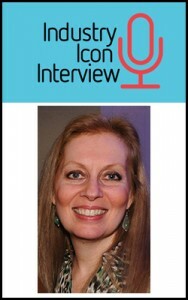 Kathy Krassner is co-founder/co-editor of the soon-to-be-published consumer giftware magazine, PRESENT. As owner of Krassner Communications, she also works as senior editor of the greeting card company NobleWorks, Inc., and as communications consultant for the National Stationery Show. A longtime industry veteran, Krassner has served as editor of several gift and stationery trade magazines throughout her career. Additionally, she has worked as director of communications for the Greeting Card Association, has served on the advisory board of the National Stationery Show, and is an associate board member of Gift for Life. 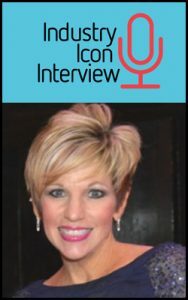 In this interview, Kathy shares her thoughts on the world of greeting cards, licensing, trade shows, and marketing . . . ! Her extensive background in journalism and her journey into the world of greeting cards and licensing. Serving as the Senior Editor for Nobleworks, and what she looks for in cards for the line. The development, context and content of the soon-to-be-published magazine – PRESENT, with longtime industry veteran Caroline Kennedy. Amongst so many wonderful achievements in her life and career, what is her greatest success to date. Sharing her single best learning lesson. How artists can stay relevant with today’s consumer. What are the best ways for artists to take to market their businesses – both to potential Licensees and to the end-use consumer. The importance and benefits gained from being a member of the Greeting Card Association. Inspiration from her favorite retailer, blogger or media personality. Words of wisdom for any artist wanting to enter into the licensing field. Register for the FREE download of the interview NOW by CLICKING HERE! Also, our next Industry Icon Interview is with the wonderful Susan January – Vice President of Product Development at Leanin’ Tree! SUBMIT your questions now for the June 2016 interview! Create art! Create a strategy! Create income!